OAPC is a member of the Presbyterian Church (USA). 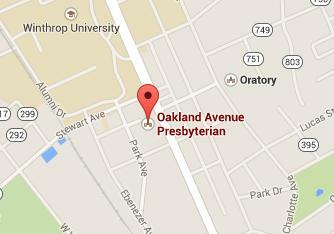 *Note: Our Parking lot is located behind the church, on Park Avenue. Our Committees and Ministry Teams are the hands and feet of the mission and ministry of our Congregation. If you would like to serve, please contact a staff person or elder to find out more about where you can plug in. Serving opportunities may also be found here.